1In a pan over medium heat, add the olive oil. Add the carrots and onion and cook, stirring frequently until the onions are soft, about 5 minutes. Add the Moroccan spice mix, chickpeas, tomatoes with juice, and raisins. Season with salt and pepper. Bring to a boil, reduce the heat, and simmer for 10 minutes until the carrots are just tender. 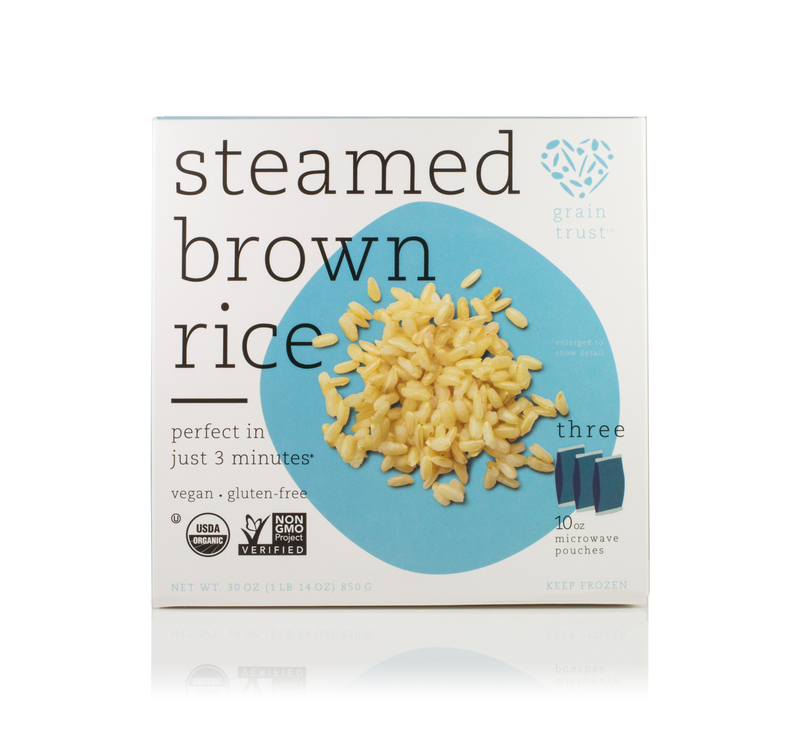 2Meanwhile, cook the Grain Trust Organic Brown Rice according to the packet instructions. 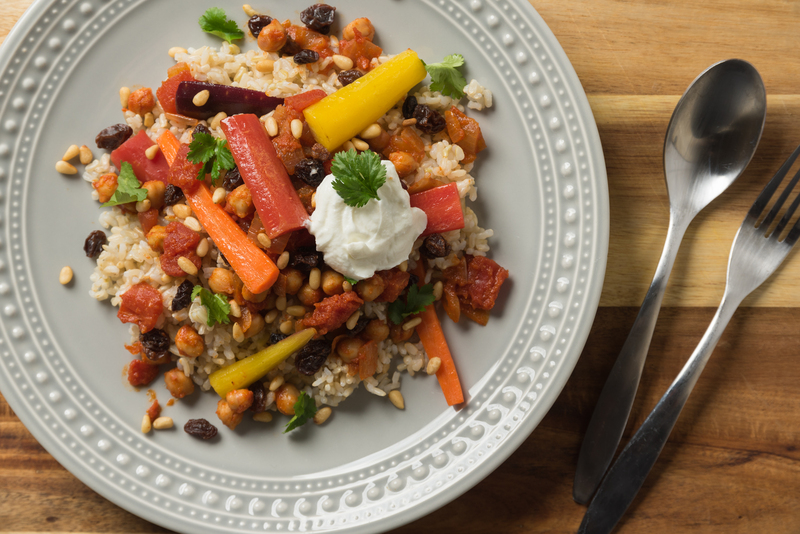 3To serve, place Moroccan chickpea mixture on top of the brown rice. 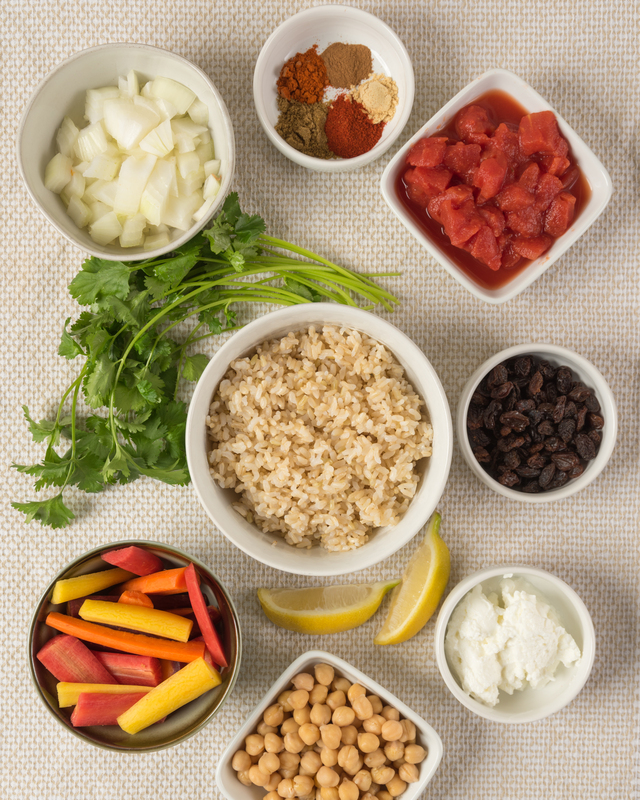 Garnish with yogurt, cilantro, and pine nuts. Enjoy warm.